Guest network: Provides connectivity while isolating guests from your primary network. For multi-language Quick Installation Guides (QIGs), please click here and go to support. The BR-6228nS V2 is a 150Mbps high-speed multi-function Wi-Fi solution which supports IEEE 802.11b/g/n standards and provides significantly improved coverage with a 5dBi antenna. Operating as a router, access point or range extender, the BR-6228nS V2’s flexibility meets the demands of any networking applications. The smart iQ Setup wizard makes setup and installation as easy as a few clicks. Impressive performance and a competitive price make the BR-6228nS V2 a cost-effective solution for home or small office environments. 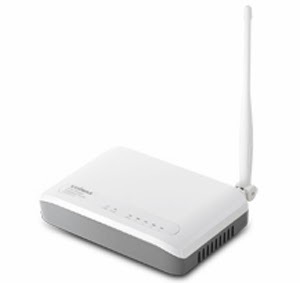 The BR-6228nS V2 can work as router, access point or range extender. Just configure the mode you need for your network environment using the smart iQ Setup wizard and enjoy surfing the web. Features iQ Setup for smart, automatic and quick installation with no CD required. Employs a 5dBi high gain antenna to enhance wireless range and coverage, providing powerful penetration through walls and floors. Supports a guest network to provide connectivity while isolating guests from your primary network. Designed with the latest green technology, the BR-6228nS V2 uses 30% less power compared to other standard 150Mbps routers. With WISP support, the BR-6228nS V2 is able to share an Internet connection from a wireless ISP access point and convert it into a wired or wireless network for multiple users in your home or office. The BR-6228nS V2 has a one-click Wi-Fi Protected Setup (WPS) button to help you set up and activate a secure wireless network in a snap.